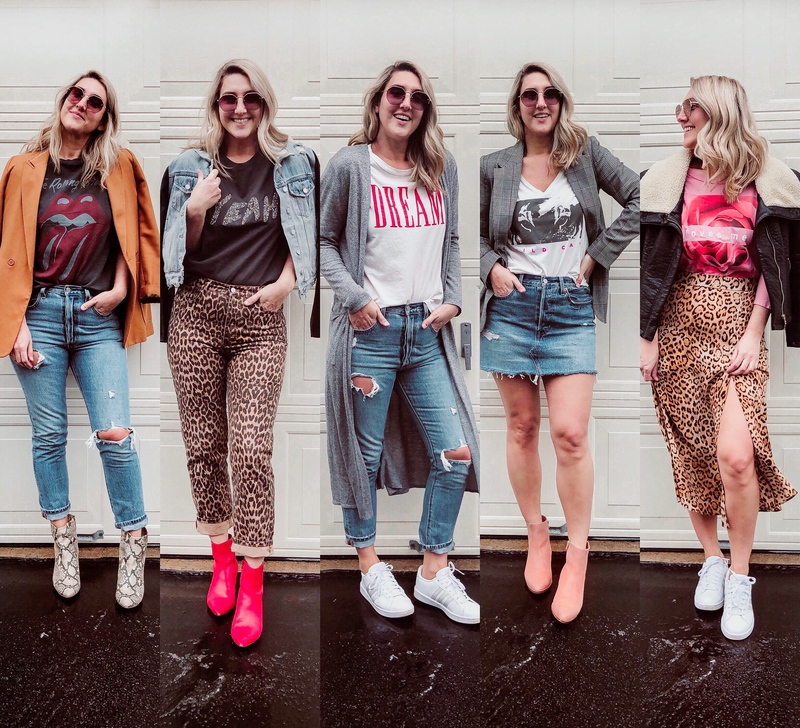 This week is all about the graphic tee, and it’s probably my fave yet! I am such a sucker for a graphic tee, and always have been. I know they are super trendy right now, but it’s something I have always worn. 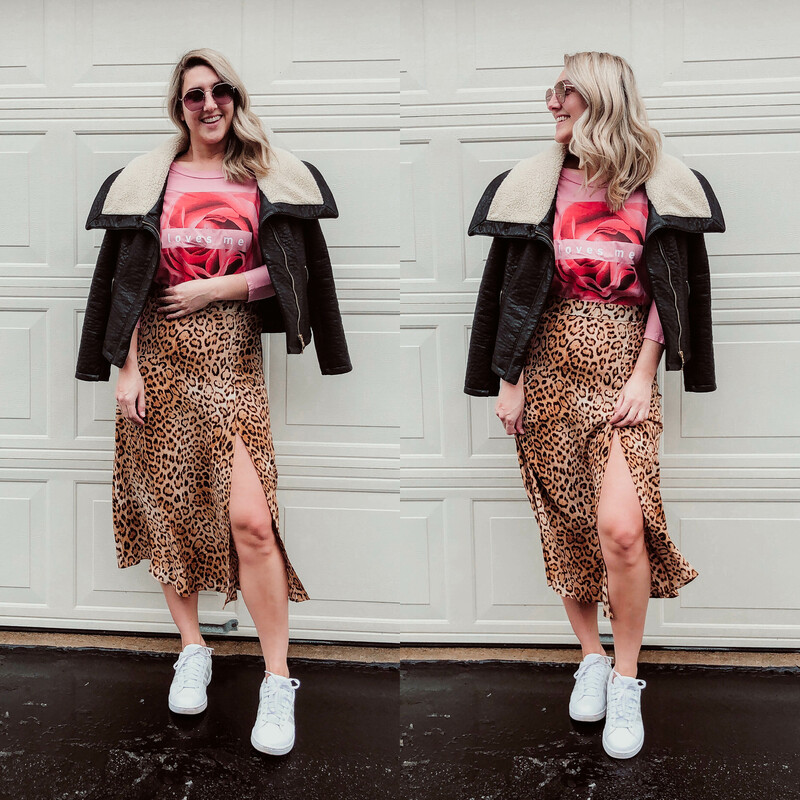 I love that you can take a simple outfit and add a pop with a fun tee! I also love taking something dressier, like the leopard skirt above, and making it more casual with the tee. There are SO MANY great graphic tees out, and super affordable too. I will do a round up of my faves at the end of the post! This outfit makes me happy 🙂 It’s a go to of mine and I a variation of what I wear constantly. First off, these jeans are pure gold. I just got them and am literally obsessed. You can find them HERE, and I did size up one size. There is no stretch to them, fyi. I love the way they look though. I had tried a pair of these in another wash, and they did not give me the same vibe, but this wash is perfection. They will be tight at first, so don’t be surprised! They are meant to be worn in by you over time. Not gonna lie, that top hole may have torn a bit from my leg fat trying to escape the first day I wore them lol. So, this outfit is perfect for a graphic tee. 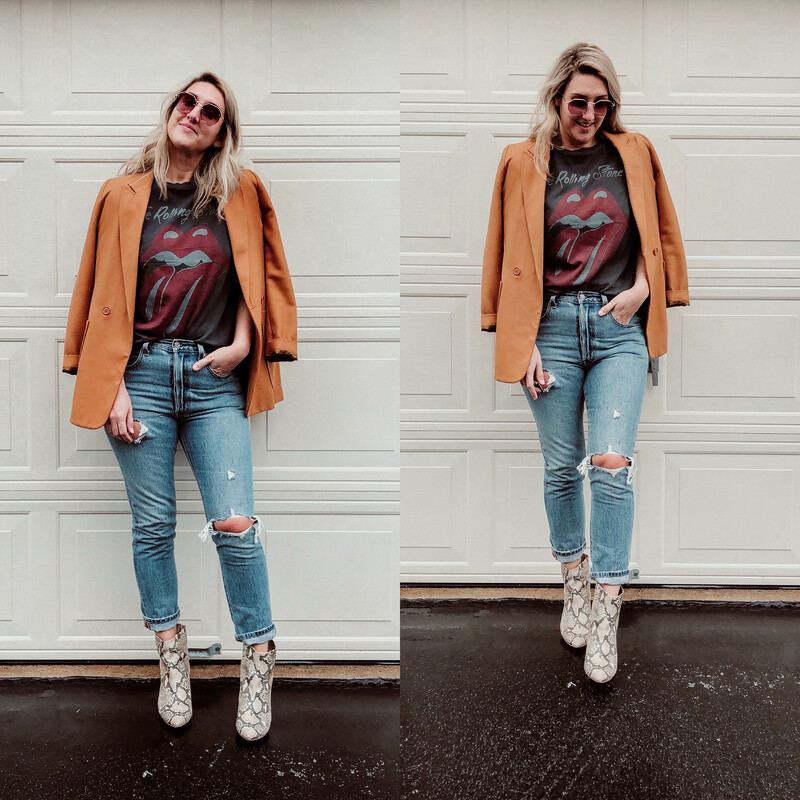 All you need is some killer denim, a blazer, and some booties, and voila! 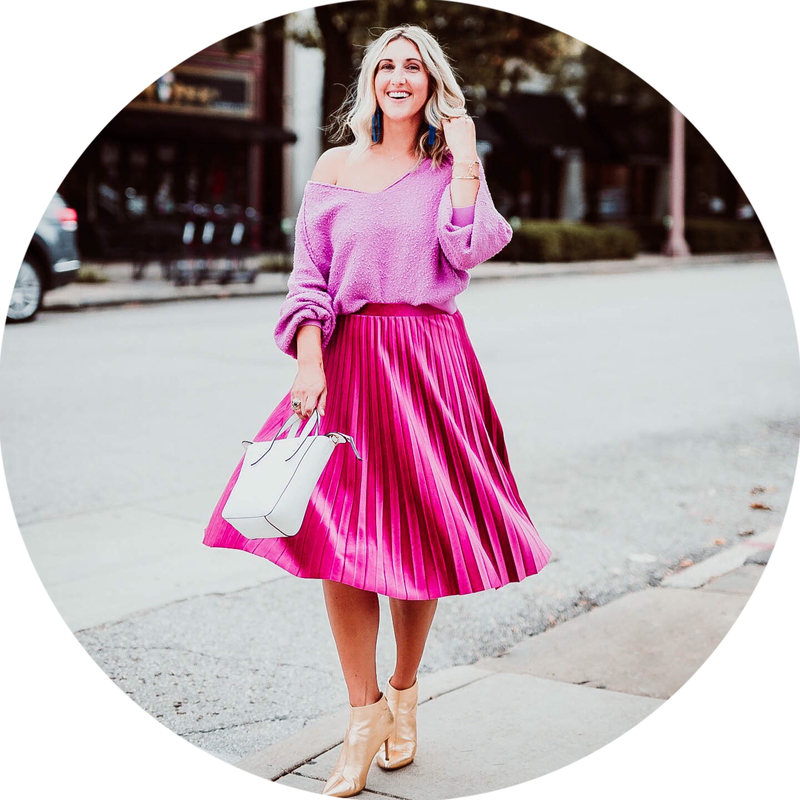 A very chic casual outfit! Side note: You cannot go wrong with buying a quality camel blazer. It is such a versatile piece and can be worn so many different ways!! I recently scored these leopard jeans from the Zara sale, and bought them in 2 different sizes because I love them so much that if I ever lose weight, I’ll still be able to wear them!! As you know, leopard is a neutral for me. 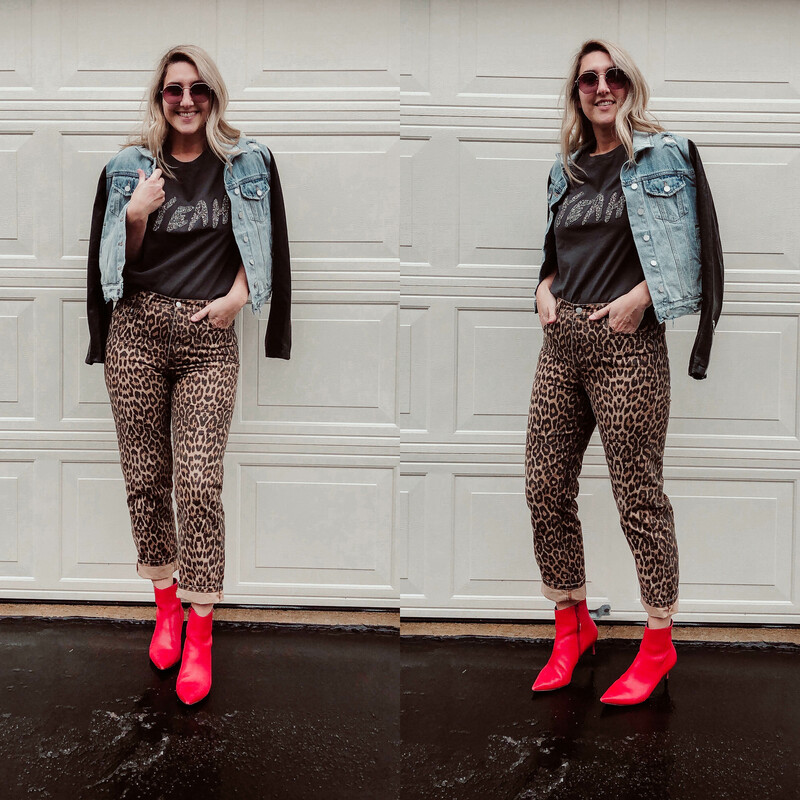 So, leopard jeans are basically like wearing a pair of blue denim. However, for most, these would be statement jeans. I love a graphic tee with a statement piece, because it makes the statement piece a bit more chill. I would also wear a tee with a pair of statement pants, like THESE. This is pretty much self explanatory, but I would definitely say a cardigan is a wardrobe must have!! I wear mine with everything. This is a good go to casual outfit! This is another outfit that I feel like is so me, that it just makes me happy! Also, THESE pink booties make me super happy 🙂 They are a crocodile embossed leather, and they are fantastic! They run big, so size down. I sized down a whole size. You can’t go wrong with a tee and a denim skirt. You just can’t! I love how the blazer adds a pop of chic-ness to the outfit. You can find the tee HERE, and PS – I have a giveaway with this company on my Instagram right now, so head HERE to enter!! 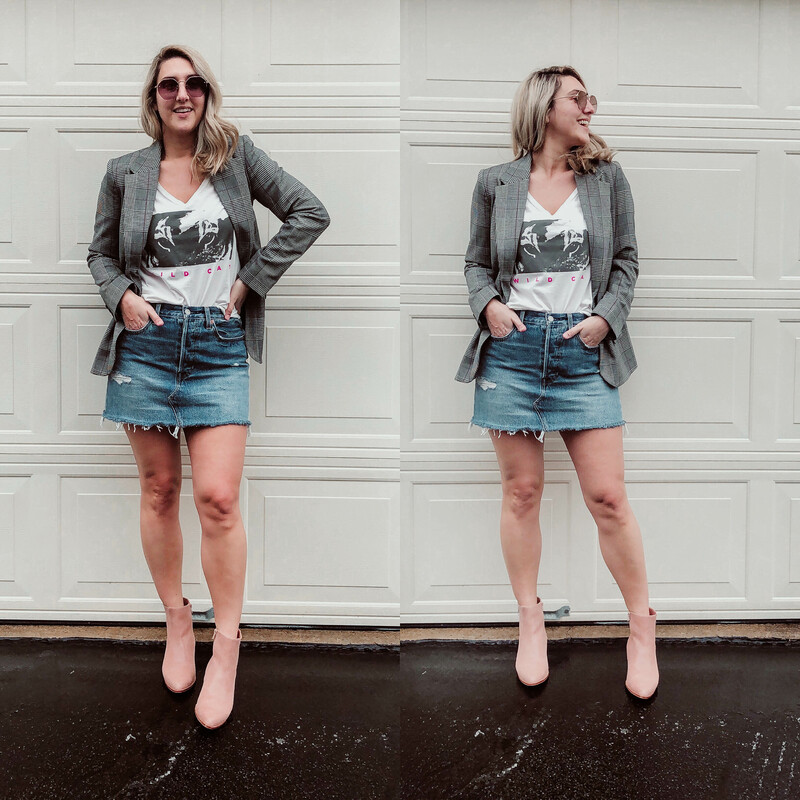 My denim skirt is Levi’s, and my blazer is an oldie from target. Lastly I paired a graphic tee with this leopard midi skirt. 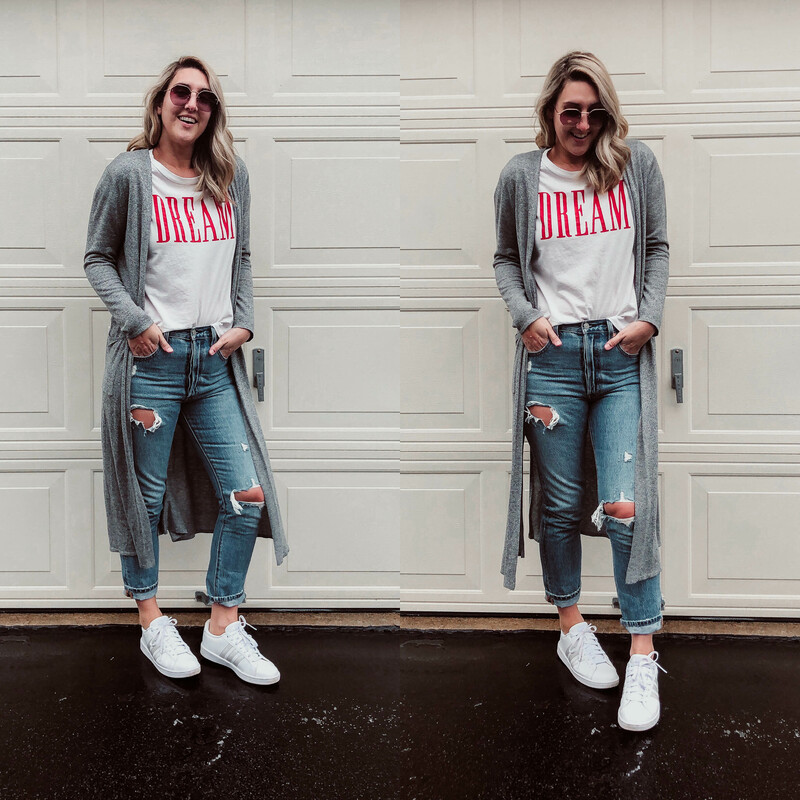 I made it casual with the white sneakers, but this could easily be worn with a pair of heeled sandals, or booties! This is one of the easiest combos for a graphic tee. I could have done any color or variation with this, too/ The tee I’m wearing here is part of the giveaway I mentioned above and can be found HERE, but be sure and enter on my Instagram!